Not enough space, time, money for an animal of your own? 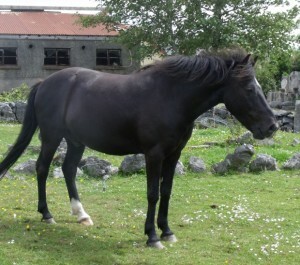 Echo came to us from Cottage Rescue, in 2007. 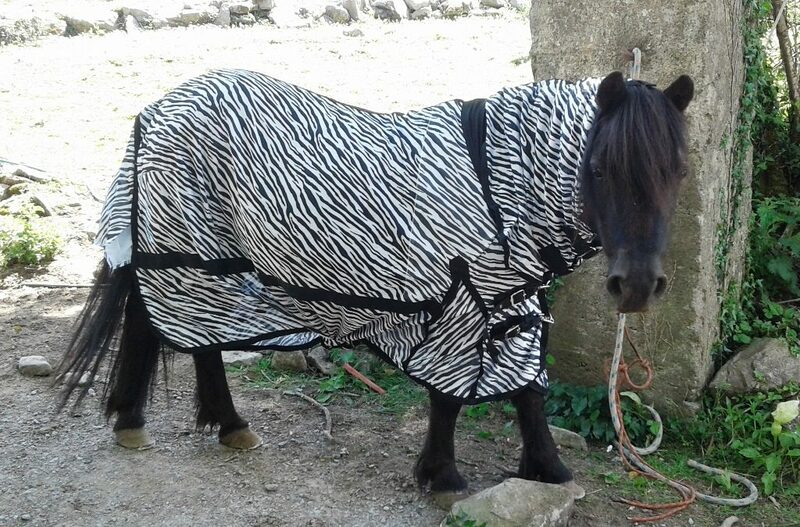 He was in horrific condition when Hannah, of Cottage Rescue, found him but luckily for him they worked their ‘magic’ on him and after several months he had made a full physical recovery. 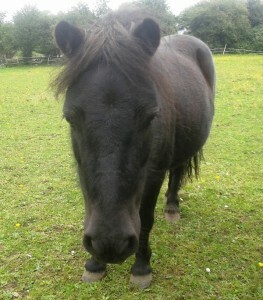 A cruelty case was brought against Echo’s owner and he was successfully prosecuted for cruelty by the judge. Cottage Rescue were highly commended by the judge for the great job they did in bringing Echo back to full health and for all the work they do for other animals. Here’s hoping that their futures are bright, long, happy & healthy … perhaps you might consider “virtually adopting” them to help us with the costs involved for their sweet itch treatments, feed, etc. Coffee arrived into our care, in June 2015, following a phone call from caring people who noticed that she was in need of medical attention. Upon arriving at Coffee’s location for her to be examined there was no doubt that she was very much in need of help … thanks to the person who abandoned her with two donkey stallions. So she was rescued and rehabilitation commenced … why is it likely that she will now remain at BAR? Well sadly the physical damage that the donkeys caused means that she has a permanent deformity in the area under her tail so her health will need monitoring for the foreseeable future. Coffee unfortunately also suffers from sweet itch 🙁 We were hoping initially that the scratching was just as a result of the huge lice burden she had but sadly it was not. In time we hope to find the product that works for Coffee to give her relief from the itching but until then like previous sweet itch victims that have come into our care it will be a case of trial & error until we find the product which will work best for her. Coffee is a lovely little mare who is still a bit apprehensive about being handled but we are sure with time she will come to realise that she has no need to fear us. Our second sweet itch lady, Coco, is 16 years old. On an average summer/autumn evening we have no problem finding Coco as she has selected her own spots for hiding from midges, one of them strangely is under trees in the woods but if they are very bad she has a shed she retreats to. At the beginning of ‘midge season’ each year Coco will cooperate fully with having creams put on her but after a few weeks she gets too twitchy and does not want to be annoyed by humans carrying tubs of cream so we only intervene if we see she has broken her skin. 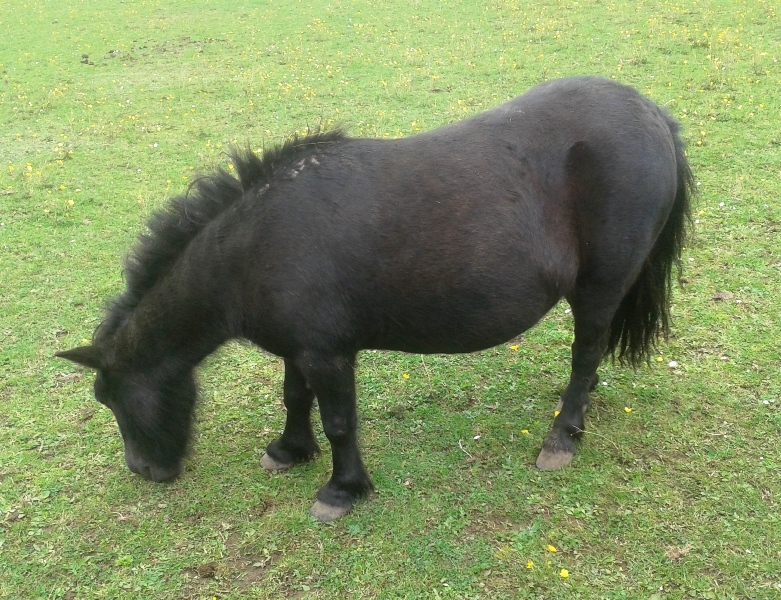 As your typical small pony she has only to look at grass to put on weight so we do keep a close eye on her in case she shows any signs of developing laminitis but so far so good.